A full day adventure into the Flinders Ranges starts here at Port Augusta. 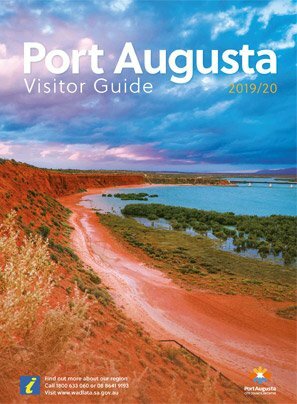 Travelling in heritage carriges, the Afghan Express rail journey departs the Port Augusta Railway Station at 10.30am, travels to Quorn for a two hour stop over allowing time for sight seeing or lunch, before departing at 2.30 to arrive back at Port Augusta at approx. 4.30. It is such a beautiful journey. Powered either by steam or historic diesel engines, depending on the season, the carriages showcase immaculately restored timber-body carriages that are up to 115 years old. Services from April through to October. 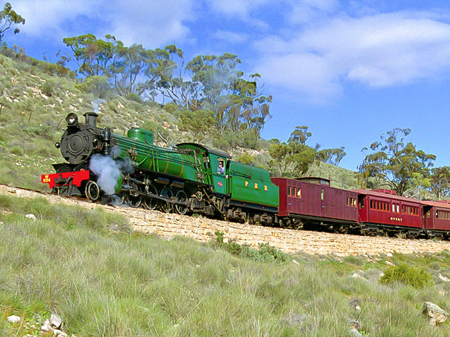 In addition, the Pichi Richi Explorer runs out of Quorn for half-day tours most weekends with additional services for South Australian school holidays. 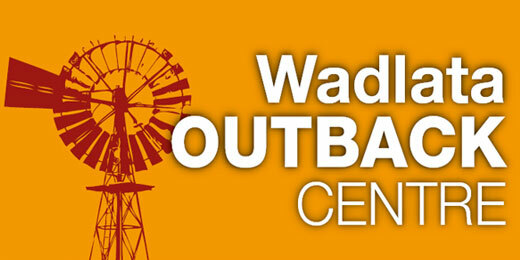 For Departure Dates and times pick up a copy of the current timetable at Wadlata. A must for train enthusiasts and everyone else. Inspect the Railway Workshop at Quorn by calling the Quorn Visitor Information Centre. Tours are conducted on Quorn based train departure days, prior bookings are essential. Regular trains operate from March to November, with diesel departures in Fire Ban Season.